Will the decent Republicans stand up? State Sen. Patrick Colbeck (R-Canton), a Republican candidate for governor, is spreading his hateful rhetoric to hide his lack of leadership and the fact that his campaign is bankrupt in both ideas and dollars. Earlier this month the trailing Republican gubernatorial candidate, who is known for his racist and White Supremacist ideas, could not find a place in this great state to spread his venom. He mustered a few like-minded racists in Florida and videotaped his concocted conspiracy theory about Muslims taking over and implementing Sharia law, in an effort to scare the public about something that doesn’t exist except in his sick mind. Colbeck dirty message, which he made in a slideshow presentation before a Florida-based anti-Muslim hate group called United West, appeared in a video posted on the group’s website. Colbeck’s statement drew quick rebuke from El-Sayed. However, Anderson crafted her words carefully. She said Colbeck’s pronouncements have no place in the party. “We categorically condemn any sort of hate speech, regardless of the source,” Anderson said. Mind you, the only hate speech here is from the Republican Colbeck himself. The Arab and Muslim communities have been trying very hard to mend fences with the Republican Party, especially after the election of George W. Bush and —even more so— that of Donald Trump to the White House. Recently, Michigan’s Arabs and Muslims have raised money for and met frequently with leading Republican gubernatorial candidates Bill Schuette and Brian Calley. The relationship with the current Republican governor, Rick Snyder, and his administration has been increasingly growing positive. Statements like Colbeck’s will set back the progress at a critical election time. It behooves the Republican leaders in Michigan and those who are aspiring to lead the state to really stand up against such bigotry and hatred. 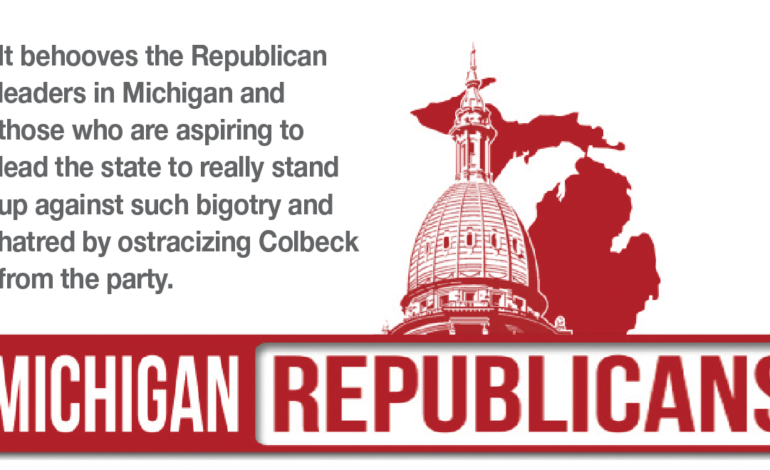 Michigan’s diversity is its biggest asset, Colbeck should know that very well as he represents one of the most diverse communities, which includes Muslims and Arab Americans. Both the community and the Republican leadership have worked hard and diligently to rebuild the trust that has been largely damaged for the last two decades. It is in the best interest of our state and its almost 10 million residents to unambiguously reject Colbeck and his ilk. 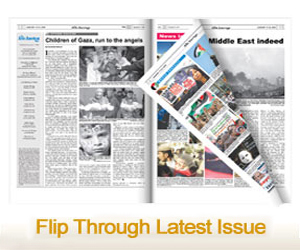 The Arab and Muslim communities are watching, listening and taking notes. Their response will come soon and very loud, where it counts the most, in the ballot box.